Janet Wiles' current research projects focus on: Human-robot interactions, Indigenous language technologies, bio-inspired computation, visualisation and artificial intelligence. Previous projects have been in complex systems modeling in biology and neuroscience, human memory, language and cognition. She received her PhD from the University of Sydney. 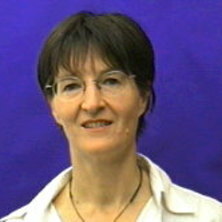 She is research leader of the Co-Innovation group in UQ's School of Information Technology and Electrical Engineering (ITEE), and UQ node leader for the ARC Centre of Excellence for the Dynamics of Language. Wiles, Judith F. and Wiles, Janet The Memory Book: Everyday habits for a healthy memory Second edition ed. Pymble, N.S.W. : HarperCollins, 2010. Wiles, J. and Wiles, J. H. The Memory Book 1 ed. Sydney: ABC Books, 2003. Wyeth, Gordon, Milford, Michael, Schulz, Ruth and Wiles, Janet (2011). The RatSLAM project: Robot spatial navigation. In Jeffrey L. Krichmar and Hiroaki Wagatsuma (Ed. ), Neuromorphic and brain-based robots (pp. 87-108) Cambridge, United Kingdom: Cambridge University Press. Hallinan, J. S. and Wiles, J. H. (2003). Evolutionary Algorithms. In Nadel and L (Ed. ), Encyclopedia of Cognitive Science 1st ed. (pp. 40-47) London: Macmillan. Wiles, J. H. and Hallinan, J. S. (2003). Evolutionary computation and cognitive science. In D. B. Fogel and C. J. Robinson (Ed. ), Computational Intelligence: The Experts Speak 1st ed. (pp. 179-189) San Diego, USA: IEEE Press. Tonkes, B. and Wiles, J. H. (2002). Methodological issues in simulating the emergence of language. In A. Wray (Ed. ), The Transition to Language 1 ed. (pp. 226-251) Oxford: Oxford University Press. Wiles, J. H., Blair, A. D. and Boden, M. B. (2001). Representation beyond finite states: Alternatives to pushdown automata. In J.J. Kolen and S.C. Kremer (Ed. ), A Field Guide to Dynamical Recurrent Networks 1 ed. (pp. 129-142) Piscataway, New Jersey, U.S.A.: IEEE. Burmeister, J. M., Saito, Y., Yoshikawa, A. and Wiles, J. H. (2000). Memory performance of master go players. In van der Herick, Iisa (Ed. ), Games in AI Research 1 ed. (pp. 271-286) Venlo, The Netherlands: Van Spijk. Burmeister, J. M., Wiles, J. H. and Purchase, H. (1999). The integration of cognitive knowledge into a perceptual representation: Lessons from human and computer go. In J. Wiles and T. Dartnall (Ed. ), Perspectives on Cognitive Science II: Theories, Experiments, and Foundations (pp. 239-257) Stamford, Connecticut: Ablex Publishing Company. Angus, Daniel, Rooney, David, McKenna, Bernard and Wiles, Janet (2012) Visualizing punctuated equilibria in discursive change: exploring a new text analysis possibility for management research. Journal of Business and Management Landscapes, 1 1: 1-16. Sweetser, P. M. and Wiles, J. H. (2005) Scripting versus Emergence: Issues for Game Developers and Players in Game Environment Design. International Journal of Intelligent Games and Simulation, 4 1: 1-9. Johnson, D. M. and Wiles, J. H. (2001) Computer games with intelligence. Australian Journal of Intelligent Information Processing Systems, 7 1: 29-36. Dennis, S., Humphreys, M.S. and Wiles, J. (1996) Mathematical constraints on a theory of human memory - Response. Behavioral And Brain Sciences, 19 3: 559-560. Hu, Xuelei, Gallagher, Marcus, Loveday, William, Connor, Jason P. and Wiles, Janet (2015). Detecting anomalies in controlled drug prescription data using probabilistic models. In: Stephan K. Chalup, Alan D. Blair and Marcus Randall, Artificial Life and Computational Intelligence: First Australasian Conference, ACALCI 2015, Proceedings. 1st Australasian Conference on Artificial Life and Computational Intelligence, ACALCI 2015, Newcastle, NSW Australia, (337-349). 5 - 7 February 2015. Schulz, Ruth, Whittington, Matthew and Wiles, Janet (2012). Language change in socially structured populations. In: Thomas C. Scott-Phillips, Mónica Tamariz, Erica A. Cartmill and James R. Hurford, The Evolution of Language: Proceedings of the 9th International Conference (EVOLANG 9). 9th International Conference on the Evolution of Language, Kyoto, Japan, (312-319). 13 - 16 March 2012. Heath, Scott, Cummings, Angus, Wiles, Janet and Ball, David (2011). A rat in the browser. In: ACRA 2011 Proceedings. Australasian Conference on Robotics and Automation (ACRA 2011), Melbourne, Australia, (1-10). 7-9 December 2011. Ball, David, Heath, Scott, Milford, Michael, Wyeth, Gordon and Wiles, Janet (2010). A navigating rat animat. In: Harold Fellermann, Mark Dörr, Martin M. Hanczyc, Lone Ladegaard Laursen, Sarah Maurer, Daniel Merkle, Pierre-Alain Monnard, Kasper Stoy and Steen Rasmussen, Artificial Life XII: Proceedings of the Twelfth International Conference on the Synthesis and Simulation of Living Systems. Artificial Life XII: 12th International Conference on the Synthesis and Simulation of Living Systems, Odense, Denmark, (804-811). 19-23 August 2010. Thanigaivelan, Balavelan, Ball, David, Wiles, Janet and Hamilton, Tara Julia (2010). An 8-channel neural recording system with programmable gain and bandwidth. In: Proceedings of the Second APSIPA Annual Summit and Conference (Student Symposium). APSIPA ASC 2010 - APSIPA Annual Summit and Conference, Biopolis, Singapore, (86-86). 14-17 December 2010. Stratton, Peter and Wiles, Janet (2010). Complex Spiking Models: A Role for Diffuse Thalamic Projections in Complex Cortical Activity. In: Wong, KW, Mendis, BSU and Bouzerdoum, A, 17th International Conference on Neural Information Processing, Sydney Australia, (41-+). Nov 22-25, 2010. Glover, Arren, Schulz, Ruth, Wyeth, Gordon and Wiles, Janet (2010). Grounding action in visuo-haptic space using experience networks. In: Gordon Wyeth and Ben Upcroft, Proceedings of the 2010 Australasian Conference on Robotics and Automation. Australasian Conference on Robotics and Automation 2010 (ACRA2010), Brisbane, Australia, (1-8). 1-3 December. Schulz, Ruth, Wyeth, Gordon and Wiles, Janet (2010). Language change across generations for robots using cognitive maps. In: Harold Fellermann, Mark Dörr, Martin M. Hanczyc, Lone Ladegaard Laursen, Sarah Maurer, Daniel Merkle, Pierre-Alain Monnard, Kasper Stoy and Steen Rasmussen, Artificial Life XII. The Twelfth International Conference on the Simulation and Synthesis of Living Systems (ALife XII), Odense, Denmark, (581-588). 19-23 August 2010. Schulz, Ruth, Glover, Arren, Wyeth, Gordon and Wiles, Janet (2010). Robots, communication, and language: An overview of the Lingodroid project. In: Gordon Wyeth and Ben Upcroft, Proceedings of the Australasian Conference on Robotics and Automation (ACRA 2010). Australasian Conference on Robotics and Automation 2010 (ACRA 2010), Brisbane, Australia, (). 1-3 December 2010. Ball, David, Heath, Scott, Nolan, Chris, Stratton, Peter and Wiles, Janet (2010). Spike-time robotics: A rapid response circuit for a robot that seeks temporally varying stimuli. In: Kok Wai Wong, B. Sumudu U. Mendis and Abdesselam Bouzerdoum, Neural Information Processing. Theory and Algorithms: ICONIP 2010, Proceedings. ICONIP 2010 - 17th International Conference on Neural Information Processing, Sydney, Australia, (). 22-25 November 2010. Wiles, Janet, Ball, David, Heath, Scott, Nolan, Chris and Stratton, Peter (2010). Spike-time robotics: A rapid response circuit for a robot that seeks temporally varying stimuli. In: ICONIP 2010 - 17th International Conference on Neural Information Processing, Sydney, NSW, Australia, (1-10). 22-25 November 2010. Luo, Wei, Gallagher, Marcus, O'Kane, Di, Connor, Jason, Dooris, Mark, Roberts, Col, Mortimer, Lachlan and Wiles, Janet (2010). Visualising a state-wide patient data collection: A case study to expand the audience for healthcare data. In: Anthony Maeder, David Hansen, Vladimir Estivill-Castro and Simeon J. Simoff, Conferences in Research and Practice in Information Technology. Health Informatics and Knowledge Management 2010: Proceedings of the Fourth Australasian Workshop on Health Informatics and Knowledge Management (HIKM 2010). HIKM 2010: 4th Australasian Workshop on Health Informatics and Knowledge Management, Brisbane, Australia, (45-52). 18-21 January 2010. Ball, David, Heath, Scott, Wyeth, Gordon and Wiles, Janet (2010). iRat: Intelligent rat animat technology. In: Gordon Wyeth and Ben Upcroft, Proceedings of the 2010 Australasian Conference on Robotics and Automation. Australasian Conference on Robotics and Automation 2010, Brisbane, Australia, (). 1-3 December 2010. Stratton, Peter, Milford, Michael, Wiles, Janet and Wyeth, Gordon (2009). Automatic calibration of a spiking head-direction network for representing robot orientation. In: Steve Scheding, Proceedings of the 2009 Australasian Conference on Robotics and Automation. ACRA'09: 2009 Australasian Conference on Robotics and Automation, Sydney, NSW, Australia, (). 2-4 December 2009. Stratton, Peter and Wiles, Janet (2008). Comparing Kurtosis Score to Traditional Statistical Metrics for Characterizing the Structure in Neural Ensemble Activity. In: Marinaro, M, Scarpetta, S and Yamaguchi, Y, 12th International Summer School on Neural Networks, Erice Italy, (115-122). Dec 05-12, 2007. Schulz, R, Prasser, D., Stockwell, P, Wyeth, G. and Wiles, J H (2008). The formation, generative power, and evolution of toponyms: Grounding a spatial vocabulary in a cognitive map. In: A. D. M. Smith, K. Smith and R. F. I. Cancho, The evolution of language: Proceedings of the 7th International Conference on the Evolution of Language (EVOLANG7). The 7th International Conference of the Evolution of Language (EVOLANG7), Barcelona, Spain, (267-274). 12-15 March, 2008. Willadsen, Kai, Triesch, Jochen and Wiles, Janet (2008). Understanding robustness in Random Boolean Networks. In: Seth Bullock, Jason Noble, Richard A. Watson and Mark A. Bedau, Artificial Life XI: Proceedings of the Eleventh International Conference on the Simulation and Synthesis of Living Systems. Eleventh International Conference on the Simulation and Synthesis of Living Systems, Winchester, U.K., (694-701). 5-8 August 2008. Geard, N. and Wiles, J. (2007). Directed evolution of an artificial cell lineage. In: M. Randall, H. A. Abbass and J. Wiles, Proceedings of Australian Conference on Artificial Life (ACAL). Progress in Artificial Life: Third Australian Conference, ACAL 2007, Gold Coast, Australia, (144-155). 4-6 December 2007. Hallinan, J. S., Bradley, D R, Mattick, J S and Wiles, J H (2006). Effects of an RNA control layer on the state space of boolean models of genetic regulatory networks. In: 2006 IEEE Congress on Evolutionary Computation. 2006 IEEE Congress on Evolutionary Computation, Vancouver, Canada, (2551-2555). 16-21 July, 2006. Hallinan, J. S., Bradley, D R and Wiles, J H (2006). Effects of constitutive gene expression on the dynamics of random boolean networks. In: G.G Yen, 2006 IEEE Congress on Evolutionary Computation. 2006 IEEE Congress on Evolutionary Computation, Vancouver, Canada, (2355-2361). 16-21 July, 2006. Geard, N. L. and Wiles, J H (2006). Investigating ontogenetic space with developmental cell lineages. In: L.M.Rocha, L.S. Yaeger, M.A.Bedau, D.Floreano, R.L.Goldstone and A. Vespignani, Artificial Life X: Proceedings of the Tenth International Conference on the Simulation and Synthesis of Living Systems. ALIFEx 10th International Conference on the Simulation and Synthesis of Living Systems, Indiana, USA, (56-62). 3-7 June, 2006. Schulz, R, Stockwell, P, Wakabayashi, M and Wiles, J H (2006). Towards a spatial language for mobile robots. In: A. Cangelosi, A.D.M. Smith and K. Smith, The evolution of language: Proceedings of the 6th International Conference (EVOLANG6). The 6th International Conference of the Evolution of Language, Rome, Italy, (291-298). 12-15 April, 2006. Geard, N. L., Willadsen, K. and Wiles, J. H. (2005). Perturbation analysis: A complex systems pattern. In: H.A. Abbass, T. Bossomaier and J. Wiles, Recent Advances in Artificial Life: Advances in Natural Computation Volume 3. Australian Conference on Artificial Life (ACAL'05), Sydney, N.S.W., Australia, (69-84). 5-8 December, 2005. Hallinan, J. S. and Wiles, J. H. (2004). Asynchronous dynamics of an artificial genetic regulatory network. In: J. Pollack, M. Bedau, P. Husbands, T. Ikegami and R. Watson, Ninth International Conference on the Simulation and Synthesis of Living Systems. Artificial Life IX, Boston, MA, USA, (399-403). 12-15 September 2004. Hallinan, J. S. and Wiles, J. H. (2004). Evolving genetic regulatory networks using an artificial genome. In: Chen and Y-P, Conferences in Research and Practice in Information Technology. 2nd Asia-Pacific Bioinformatics Conference, Dunedin, New Zealand, (291-296). 18-22 January 2004. Geard, N. L. and Wiles, J. H. (2003). A gene regulatory network for cell differentiation in caenorhabditis elegans. In: H. Abbass and J. Wiles, Proceedings of the Australian Conference on Artificial Life. The Australian Conference on Artificial Life, Canberra, (86-100). 6-7 December, 2003. Sweetser, Penelope, Johnson, Daniel, Sweetser, Jane and Wiles, Janet (2003). Creating Engaging Artificial Characters for Games. In: D. Marinelli, Proceedings of the Second International Conference on Entertainment Computing. Second International Conference on Entertainment Computing (ICEC), Pittsburgh, Pennsylvania, (1-8). 8-10 May, 2003. Willadsen, K. and Wiles, J. H. (2002). All binary representations are equal: But some or more equal than others. In: X. Yao, Proceedings of the 2002 Congress on Evolutionary Computation. 2002 IEEE Congress on Evolutionary Computation, Hawaii, (570-575). 12-17 May, 2002. Johnson, Daniel and Wiles, Janet (2001). Computer games with intelligence. In: 10th IEEE International Conference on Fuzzy Systems, , , (1355-1358). December 2, 2001-December 5, 2001. Johnson, D. M. and Wiles, J. H. (2001). Effective affective user interface design in games. In: M. Helander, H. Khalid and T. Po, Proceedings of the International Conference on Affective Human Factors Design. International Conference on Affective Human Factors Design, Singapore, (219-226). 27-29 June 2001. Wiles, J. H., Schulz, R., Hallinan, J. S., Bolland, S. and Tonkes, B. (2001). Probing the persistent question marks. In: L. Spector, E. Goodman and A. Wu et al., Proceedings of the Genetic and Evolutionary Computation Conference (GECCO-2001). Genetic and Evolutionary Computation Conference (GECCO-2001), San Francisco, (710-717). 7-11 July, 2001. Wiles, J. H., Schulz, R., Bolland, S., Tonkes, B. and Hallinan, J. S. (2001). Selection procedures for module discovery: Exploring evolutionary algorithms for cognitive science. In: J.D. Moore and K. Stenning, Proceedings of the Twenty-Third Annual Conference of the Cognitive Science Society. Twenty-Third Annual Conference of the Cognitive Science Society, Edinburgh, Scotland, (1124-1129). 1-4 August, 2001. Bolland, S. and Wiles, J. H. (2000). Adapting Copycat to context-dependent visual object recognition. In: Proceedings of the Fifth Biennial Australasian Cognitive Science Conference. Fifth Biennial Australasian Cognitive Science Conference, Melbourne, (1-8). 30 Jan - 2 Feb, 2000. Wiles, J. H., Chenery, H. J., Hallinan, J., Blair, A. D. and Naumann, D. (2000). Effects of damage to the CDM Stroop Model. In: Davis, Van Gelder and and Wales, Proceedings of the Fifth Biennial Australasian Cognitive Science Conference. Fifth Biennial Australasian Cognitive Science Conference, Melbourne, (103-112). 30 Jan - 2 Feb, 2000. Tonkes, B., Blair, A. D. and Wiles, J. H. (2000). Evolving learnable language. In: Solla, Leen and Muller, Advances in Neural Info Processing Systems 12. Advances in NIPS 12, Denver, (66-72). December 1999. Tonkes, Bradley, Blair, Alan and Wiles, Janet (2000). Evolving learnable languages. In: Advances in Neural Information Processing Systems 12 - Proceedings of the 1999 Conference, NIPS 1999. 13th Annual Neural Information Processing Systems Conference, NIPS 1999, Denver, CO, United States, (66-72). 29 November-4 December 1999. Hallinan, J. and Wiles, J. H. (2000). Modeling the spread of antibiotic resistance. In: Congress on Evolutionary Computation 2000. Congress on Evolutionary Computation 2000, San Diego, USA, (1152-1159). 16-19 July, 2000. Burmeister, J. M. and Wiles, J. H. (1999). AI techniques used in Computer Go. In: Dynamical Cognitive Science: Proceedings of the Fourth Australasian Cognitive Science Society Conference. Fourth Biennial Australasian Cognitive Science Conference, Newcastle, (1-6). 26-28 Sept 1997. Tonkes, B. and Wiles, J. H. (1999). Learning a context free task with a recurrent neural network. In: Dynamical Cognitive Science Proceedings of the Fourth Australasian Cognitive Science Society Conference. Fourth Biennnial Australasian Cognitive Science Conference, Newcastle, (1-7). 26-18 Sept 1997. Boden, M, Wiles, J, Tonkes, B and Blair, A (1999). Learning to predict a context-free language: Analysis of dynamics in recurrent hidden units. In: Ninth International Conference On Artificial Neural Networks (icann99), Vols 1 and 2. 9th International Conference on Artificial Neural Networks (ICANN99), Edinburgh Scotland, (359-364). Sep 07-10, 1999. Boden, M. B., Wiles, J. H., Tonkes, B. and Blair, A. D. (1999). Learning to predict a context-free language: Analysis of dynamics in recurrent hidden units. In: Proceedings of the Ninth International Conference on Artificial Neural Networks. ICANN'99, Edinburgh, UK, (359-364). 7-10 September, 1999. Boden, M. B., Wiles, J. H., Tonkes, B. and Blair, A. D. (1999). On the ability of recurrent nets to learn deeply embedded structures. In: CL Giles and R Sun, Proceedings of the Sixteenth International Joint conference on Artificial Intelligence. IJCAI'99, Stockholm, (67-72). 31 July - 6 August 1999. Rodriguez, Paul and Wiles, Janet (1998). Recurrent neural networks can learn to implement symbol-sensitive counting. In: 11th Annual Conference on Neural Information Processing Systems,, Denver, CO, United States, (87-93). 1-6 December 1997. Majewski H. and Wiles J. (1997). Adding phase to recurrent backpropagation networks: An application to binding tasks in vision. In: Biological and Artificial Computation: From Neuroscience to Technology - International Work-Conference on Artificial and Natural Neural Networks, IWANN 1997, Proceedings. 4th International Work-Conference on Artificial and Natural Neural Networks, IWANN 1997, Lanzarote, Canary Islands, (668-677). June 4, 1997-June 6, 1997. Rodriguez, P. and Wiles, J. H. (1997). Towards a grounding of simple recurrent networks in analog computation theory. In: Dynamic Cognitive Science Proceedings of the Fourth Australasian Cognitive Science Conference. Fourth Biennial Australasian Cognitive Science Conference, Newcastle, (1-6). 26-28 Sept 1997. Lister Raymond, Bakker Paul and Wiles Janet (1993). Error signals, exceptions, and back propagation. In: Proceedings of 1993 International Joint Conference on Neural Networks. Part 1 (of 3), Nagoya, Jpn, (573-576). October 25, 1993-October 29, 1993. Phillips Steven and Wiles Janet (1993). Exponential generalizations from a polynomial number of examples in a combinatorial domain. In: Proceedings of 1993 International Joint Conference on Neural Networks. Part 1 (of 3), Nagoya, Jpn, (505-508). October 25, 1993-October 29, 1993. Wiles, Janet and Ollila, Mark (1993). Intersecting regions: the key to combinatorial structure in hidden unit space. In: Advances in Neural Information Processing Systems 5. Advances in Neural Information Processing Systems, Denver, CO, United States, (27-33). 30 November 30-3 December 1992 . Wiles, Janet and Bloesch, Anthony (1992). Operators and curried functions: training and analysis of simple recurrent networks. In: Advances in Neural Information Processing Systems 4. 5Th Conf On Neural Information Processing Systems - Natural and Synthetic ( NIPS-91 ), Denver, CO, United States, (325-332). 2-5 December 1991. Progress in Artifical Life: Third Australian Conference, ACAL 2007 (2007) . Edited by Randall, M., Abbass, H.A. and Wiles, J.. Progress in Artifical Life: Third Australian Conference, ACAL 2007, 4-6 December, 2007, Gold Coast , Australia. Proceedings of the Australian Conference on Artificial Life (2003) . Edited by H. Abbass and J. H. Wiles. The Australian Conference on Artificial Life, 6-7 December, 2003, Canberra.